I thought my stitchy update this month would be pretty simple, because I haven't done a thing since around the middle of the month, although as I write it out, I do feel better for what I did get done. But really? 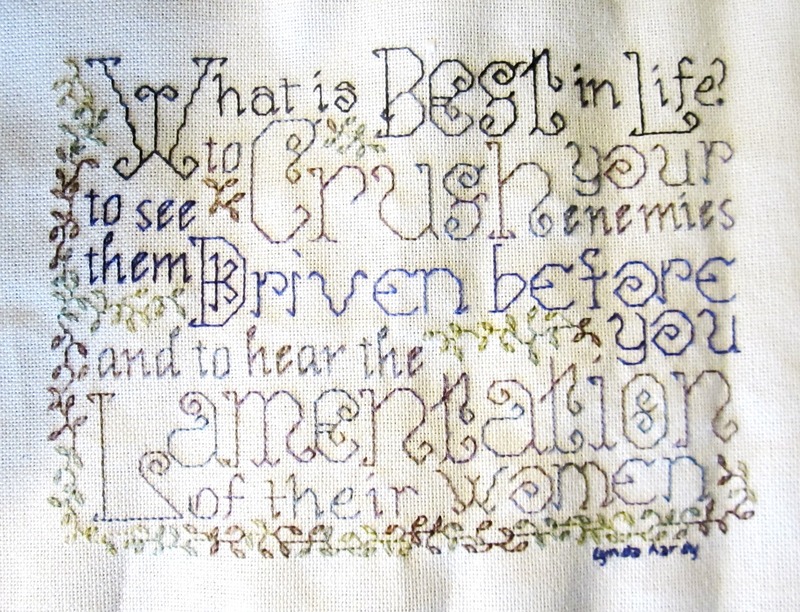 I just fell out of the mood to stitch - as I have off and on for the past 35 years. I don't try to fight these moods. Like the weather, it's easier to get through if you accept it. One of my projects right now is to pry out some dedicated crafting space in our small one bedroom apartment, and once that's done, I know it will make me happy to go back to my needle. So, first order of business - this month's TUSAL! 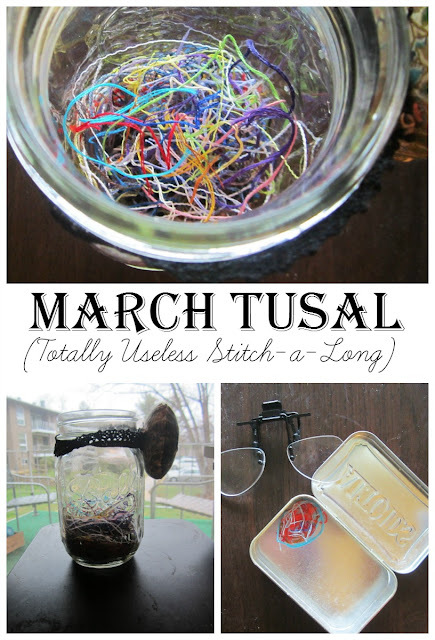 This is the Totally Useless Stitch-a-Long, where crafters show off their inevitable collection of thread snippets. The TUSAL happens each month at the New Moon. I keep mine in a mason jar (with a handy pin cushion attached to it with elastic lace), and tamp it down after I've show in off - so the fluffy bits are new. I also keep an empty Altoid's tin with me in my portable stitchery bag, to use to corral thread snippets until I can get home and toss them in the jar with the rest. 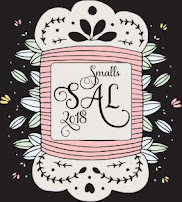 So, last month, my goals were to finish my Conan the Barbarian quote backstitch sampler, finish Metamorphosis, a Quaker medallion sampler from Ink Circles, to get my next Satsuma Street 12 Days of Christmas ornament started and finished, and to start Satsuma Street's Pretty Little Washington DC. Next, is Ink Circle's Metamorphosis - still a WIP, although I am now working on the last medallion. I bought a lap frame and put it in there. I'm still getting used to it, though, so at present it's no more comfortable than my own usual method of rolling the fabric and holding it by hand. 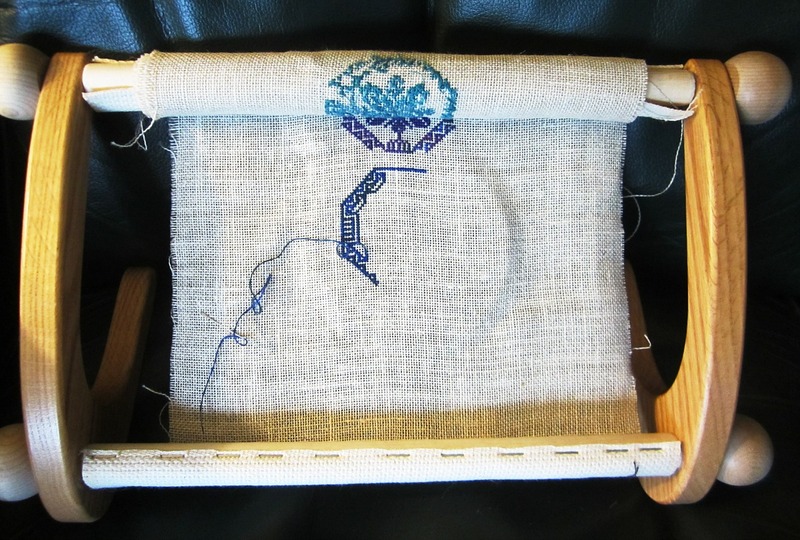 (My brief try with a small hoop also felt 'meh' to me) No getting around it - the medallion at the end of the cloth is going to be the hardest part, yet. I am currently wavering between making April a 'finish this or die trying' month, or tucking it away for awhile to work on something else - I'll decide by the end of the month. I didn't even get started on the Satsuma Street Pretty Little Washington DC piece, and I very much want to get to it, so I think April is going to just be Satsuma Street all month long for me! Oh! I did get one small piece stitched up at the beginning of the month that I took on on whim. I switched up the suggested bright orange petals for pink, using a variegated floss to give it depth - to keep the petals from looking two-dimensional, I worked full x's around the petals in a circular way instead of straight across rows. I'm really pleased with the effect! This month's WIPocalypse hop's question is: What stitchy blogs, groups, or flosstubes do you follow and why? 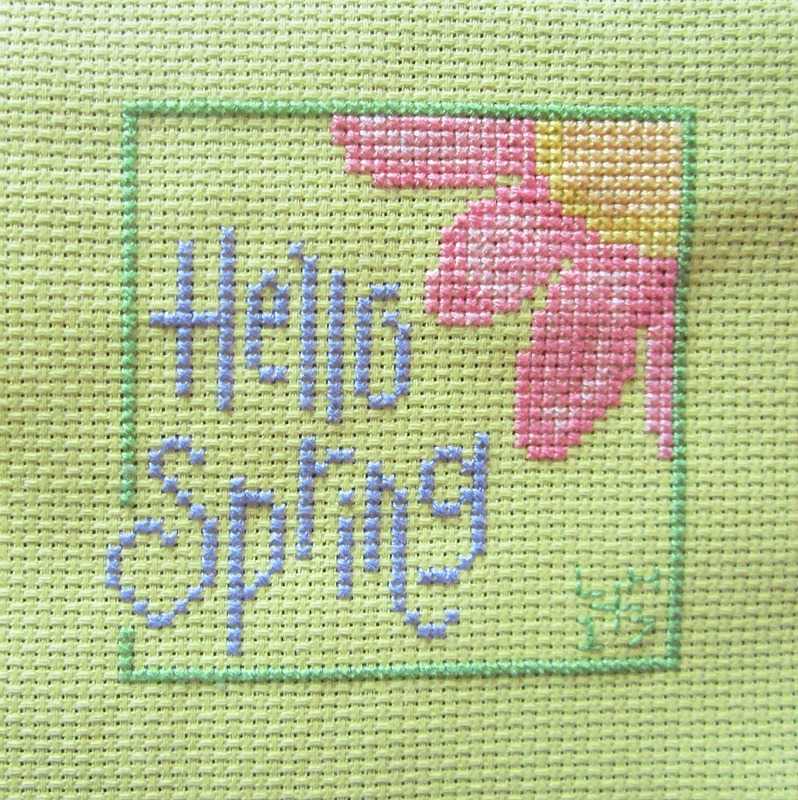 You know, other than checking in at these monthly hops, I've dropped off regular checking up on other stitchers and have no idea what flosstubes (cross-stitched based Youtube channels) there are - so I look forward to getting some recommendations from the other WIPocalypse stitchers! So, instead I will end this month's post by showing off a couple more stitchery-related goodies I picked up this month. First, I finally had to concede that my eyes can't deal with stitching anymore without some adjustment. I'd taken to shoving my glasses up on my head and pulling it all so close to my face that I was in danger or putting an eye out with the needle. The problem was, most of my stitching happens in the evening, when we're settled in with a movie or binging on a series - and the very moment I'd throw the glasses up on top of my head and just listen, something on screen would happen and we'd need to back it up so I could see. Disruptive to both watching TV and to stitching! Then, I found these wonderful clip on magnifiers at the bead store across from where we live. 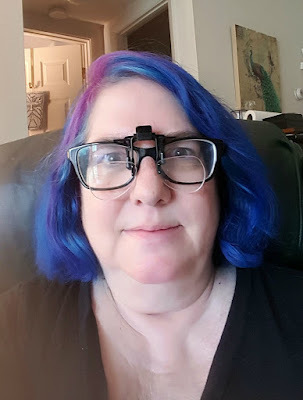 They provide great magnification so I can stitch at a comfortable distance, and sit low enough on my glasses that stopping to look at something else is nothing more complex than glancing up over the top. As needed, they also flip up entirely so I can quickly get them out of the way. These things are my new best friends! 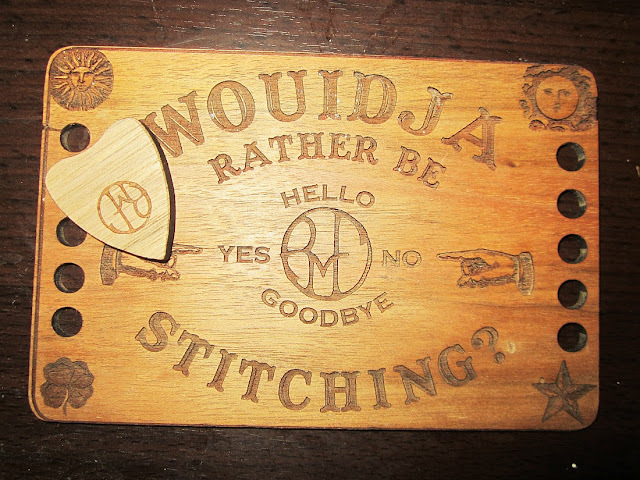 Finally, I acquired one indulgence that makes me smile everytime I see it - Retromantic Fripperies "Wouldja Rather Be Stitching" Thread Organizer (with a great little planchette magnetic needleminder as well). Unfortunately, I'm not seeing this item on the Etsy shop at present (although there is a knitter's version that is a needle gauge! ), but she's got lots more, and I think I'll likely be dropping a bit more stash money their way. So, that's it for this month. Next month, my goals are to get caught up on the 12 Days of Christmas project and to start Pretty Little Washington DC. I may or may not try to knock out Metamorphososis, as well. 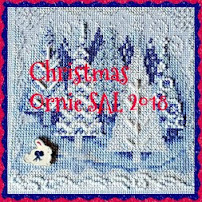 In May, I'll be taking part in the FB group Stitch Maynia's May insanity, or working on a different WIP every day for two weeks, so I can take things easier this month without concern. 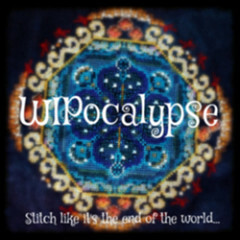 To check in with what other stitchers are up to, stop in at the WIPocalypse check in! 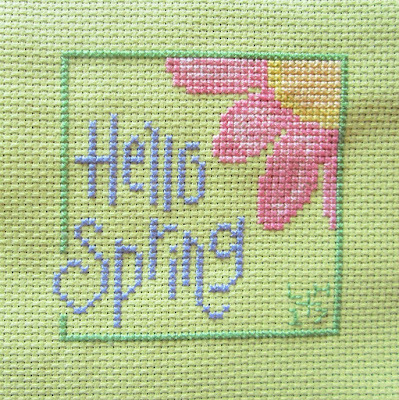 Your spring cross stitch is so darn cute! Thank you for sharing on OMHGWW this week! 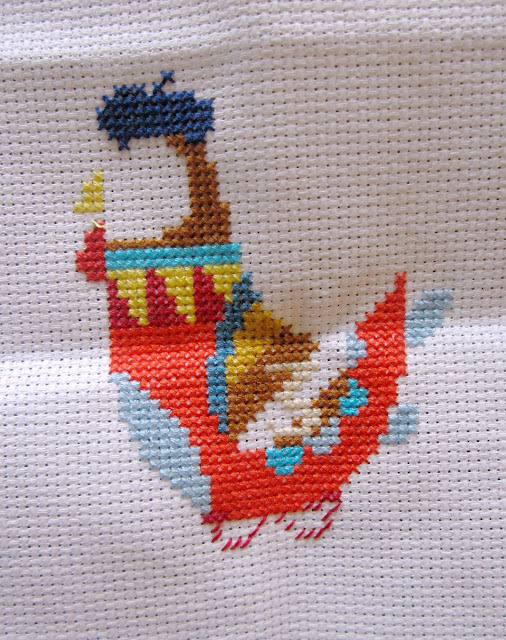 I used to love to do cross stitch. This is really cute! Pinned to share! Thanks for linking up and sharing with us this week at Brag About It! Your spring cross is so cute! Fun stitching! Where did you find the green cross-stitch fabric? Love it. 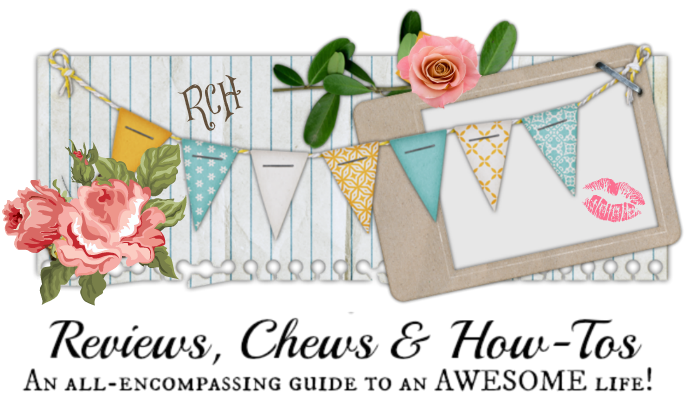 Thanks for sharing at My Busy Beehives #beeparty this week! Pinned! You are doing an amazing job. I love them! Thanks for sharing with SYC. I want that thread organizer! I might contact her and see if she will make another. What beautiful projects you are working on! I used to do a lot of cross stitch and embroidery but I haven't done any for literally 20 years. Your posts are inspiring me to get started again! Thank you so much for sharing with us at Hearth and Soul. Lynda you have so many works in progress.Good for you for working on them all. I had a big one I started 20 years ago... it's still waiting for me. I really like those magnifying glasses too. I need to learn how to cross stitch. I love how it looks, and I think it would be a good way to wind down in the evenings. Thanks for sharing at Funtastic Friday! I love those glasses and will begin my search for a pair soon! How cool. 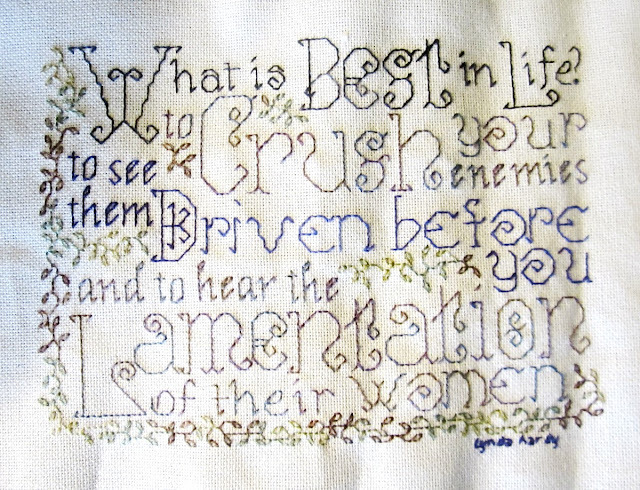 Love your needlework. Thanks for partying with us at Merry Monday. I'm interested in your opinion on your lap stand once you get used to it. I've been looking into getting one of those for a while now.